Traditional marketing relies heavily on print advertising, direct mail marketing, broadcast advertising, telephone marketing, cold calling, and referral-based calling to influence customer behavior over the long term. However, in the business world, the term inbound marketing is often embedded into conversation as the latest and greatest marketing approach, and the inbound philosophy is changing the game. While most entrepreneurs have a general understanding of all aspects of marketing, it is difficult to keep up with the ever-changing marketing strategies that drive this phenomenon. In short, inbound marketing is an effort to pull clients via the internet to your business so that they will utilize your products and services. Sounds simple, right? Think again. 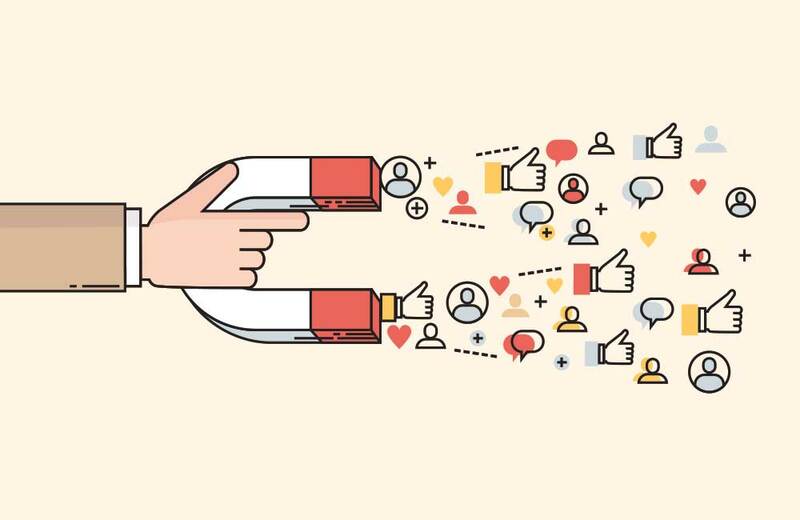 According to HubSpot, the Inbound Methodology is made up of four key fundamentals: attract potential customers, convert potential customers into leads, close your leads to create new customers, and delight your customer base. These four fundamentals are used to develop the sales and marketing team into a partnership that is effective, efficient, and customer centric with the result of increased revenue. In order to develop a strategic inbound marketing plan, it is important to understand each aspect. With the powerful presence of the internet, there are literally millions of strangers using their devices to seek information at any given moment. The philosophy of inbound marketing is to use effective content to turn strangers into visitors on the company website. In this phase, companies use web pages, blogs, and social media to distribute industry information that interests people and educates them on topics they have sought out. Quality blogging publishes and promotes information to increase search results, links, and social media exposure. Social media increases traffic, leads, and expands the community of potential clients. Businesses must employ search engine optimization (SEO) to ensure content can be found by potential customers. In order to achieve success, companies must know their buyer persona – who are your customers, what are their goals, what are there problems – in order to create relevant content with long-tailed keywords that lead strangers to the website. Now that the quality content has been pushed out through blogging and social media, the strangers who were reached during the attract phase have become visitors to the company website. In this phase, the visitors are increasing awareness, considering information they have received, and are beginning to make a decision about what products and services they might need. This is when visitors can become leads. A call-to-action, or CTA, should be placed on the page that is easy to identify with general offers that increase the volume and then direct the visitor to a landing page. This page should be a form that allows the business to gather information and begin the relationship with the lead. Once this page is submitted, a thank you page should be sent to the lead wherein the business keeps any prior promises, provides more relevant content, and helps move the buyer toward an additional call to action. In this technology-driven marketing strategy, email is essential to maintaining relationships and closing deals. For email to be effective, it should be the right email to the right person. The goal of the email is to nurture a lead, so the content should be targeted to the audience and the timing should be appropriate for the potential client’s needs, which is why email automation is so effect. During the close phase, the sales and marketing team encourages the lead to make a decision. This means additional valuable information should be delivered in a clear and concise manner without asking the potential client for anything. This information can build awareness with additional blogs, guides, or free tools; it can increase consideration with webinars, case studies, or white papers; it can assist decision making with trials, demonstrations, or free consultations. It is important at this level of interaction that the emails are actionable, personalized, engaging, and measurable – and of course, an additional CTA should always be included. Nurturing the lead with quality content and the appropriate context should lead to success in closing the deal. The company has attracted strangers to the website, created visitors, developed a lead, and closed the deal. Customer delight is developed through innovation, communication, and education. The inbound marketing plan is centered around pleasing clients by building trust and counting on delighted customers to become promoters of the company. In order for this to happen, the entire organization must be on board with the pillars of delight in every aspect of business in every phase. The sales and marketing team are partners who are employed to listen, diagnose, and prescribe options during the entire buyer’s journey rather than to sell, sell, sell. Interactions should be those of an adviser or supporter with a strong emphasis on developing mutually beneficial relationships. Delighted customers not only continue to use the products or services of the trusted business, they also promote the company with referrals and social media shares to improve the odds of attracting additional customers to the client base. The four fundamentals of inbound marketing can increase revenue and change the strategic marketing plan of any company. Fortunately, the passionate marketing specialists at React are available to help clients stay on top of the dynamic trends in the sales and marketing world.